Think of the last time you searched for a restaurant in your local area. Do you remember the little map popping up on Google with an image and a list of recommendations? It’s usually one of the first search results to appear on Google. And with Rise Solutionz help, your business could appear in those listings. But that’s not all. We can also rank your website in the organic listings for location-based searches. This is a very powerful strategy that allows us to rank your website. Local search optimization is a viable option for any SMB as it is a less expensive alternative to other types of online marketing. 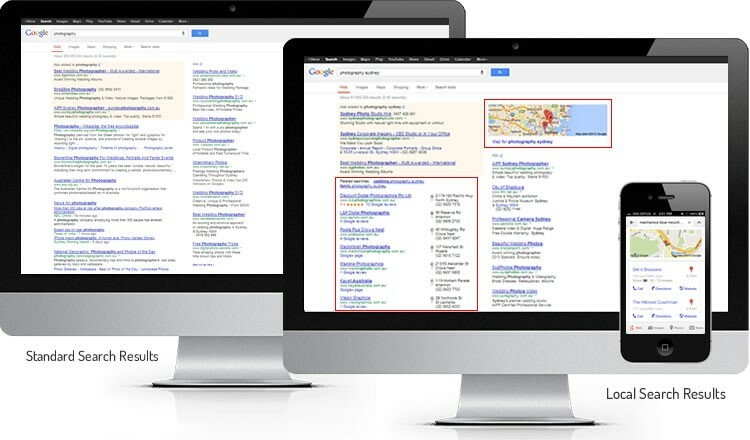 By optimizing your business’ information around the web and on your site, we are able to get your business visible in Google’s local result. We perform all of the tedious, “heavy-lifting” work that you don’t have time to do to help get you local visibility. We stay on top of updates and the latest trends to give your business staying power in local search. Like other online marketing services, there are firms that guarantee unrealistic results which, if they are achieved, they don’t last very long or create problems in the long-run. Dominate Local’s local search team uses best practices and industry-proven techniques to increase local exposure for your business.